Tim and I met in the summer of 2008, in Ottawa Ontario. A short six months later we were married and I was off to Basic Military training. Tim already being in the military, we were destined to be a military family. In 2008, we took our first road trip to Washington DC and Virginia Beach; we were instantly hooked. We loved experiencing situations that were outside our comfort zone. New food, cheap American liquor and our love of cheap street eats pushed us to travel cheap so we could travel often. We have traveled the USA from coast to coast, from north to south. We first started traveling for the pure leisure and for historical significance of our destinations. Then we started looking for other excuses to travel including running marathons; our love of wine and beer and what everyone else does... to see the stuff from the movies. 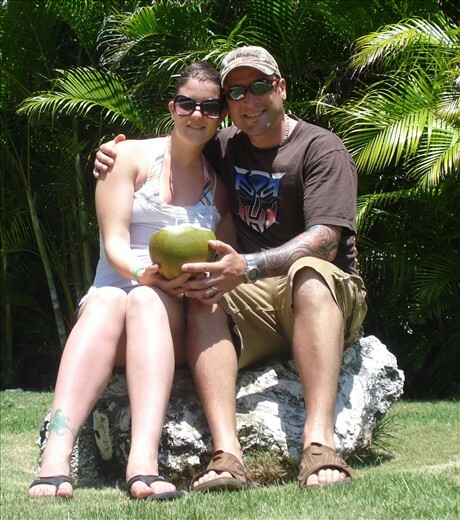 We enjoyed our honeymoon in the Dominican Republic, and have also vacationed in Cuba and Mexico. Our problems with these packaged vacations were the fake experience of the local culture, poor quality buffet style food, over priced excursions and the simple fact that we were bored within 2 days. There are other reasons we love to travel, to learn and to share our experiences with friends and family. We have relied a lot on other people's experiences to build our trips. This brought us to our current view that by blogging our trip, we can achieve our goal to share our experience, offer humble advice to others seeking to enjoy similar trips; and finally, build lasting memories of the trips we have enjoyed.